In a medium bowl, combine the all purpose flour, xanthan gum (IF needed), baking soda, and salt – whisk to combine. Set aside. In the bowl of a stand mixer (or large glass bowl if using a hand mixer), add the sugars and mix on low to combine well. Add the cold butter and mix on low until combined – do not over mix. Add two eggs and vanilla extract, mix until combined – do not over mix. Slowly add the flour mixture into the sugar and butter mixture while on low-speed. Just when everything is incorporated, turn the mixer off and add in the chocolate chips and nuts (optional). You can mix with a wooden spoon to incorporate the chocolate chips and nuts (optional) or you can mix it with your hand…that is my preferred method. Using a tablespoon scoop out cookie dough and place onto prepared baking sheets. 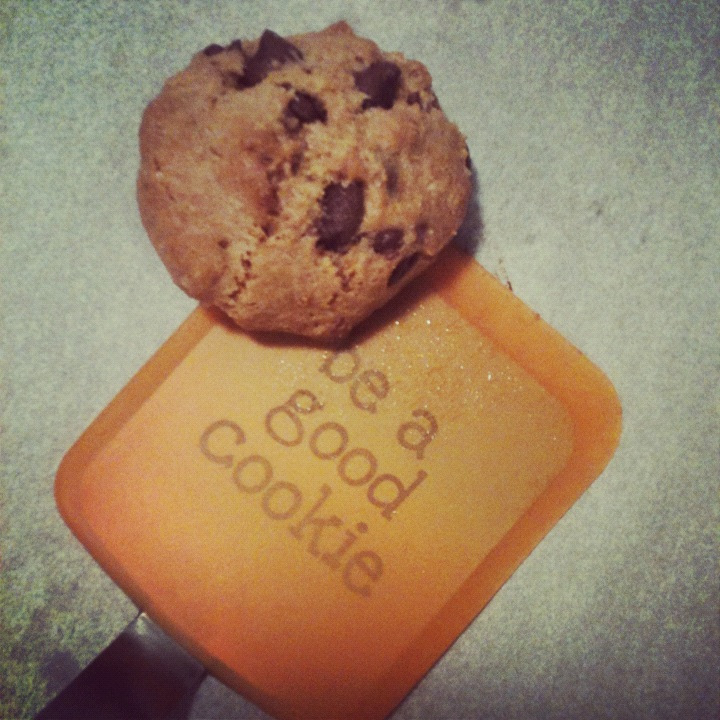 If using a large baking sheet you should be able to fit 12 cookies – these do not spread that much. Bake for 12-15 minutes and cool immediately on a wire rack. Makes about 40 cookies! Perfect for the holidays! Enjoy! The full post can be see on Jenny's blog.